Modern art photo of a sunrise on the Garonne River ! Clear and luminous colours for this limited series photo ! This abstract photography is a 200-pieces limited series and delivered with its numbered certificate of authenticity. 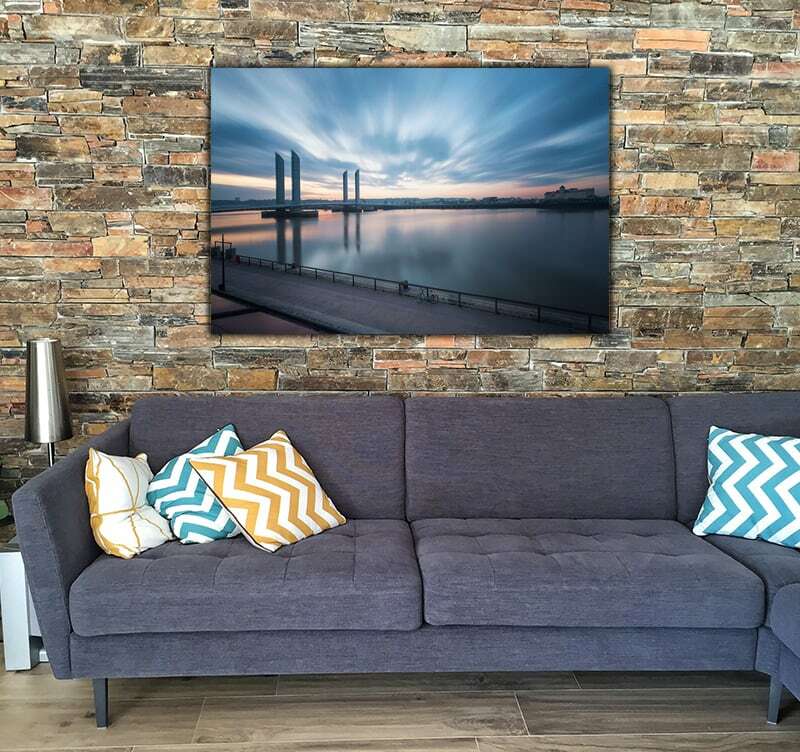 A professional art picture to have a beautiful sunrise on your wall ! Chaban-Delmas Bridge on an artist photo ! 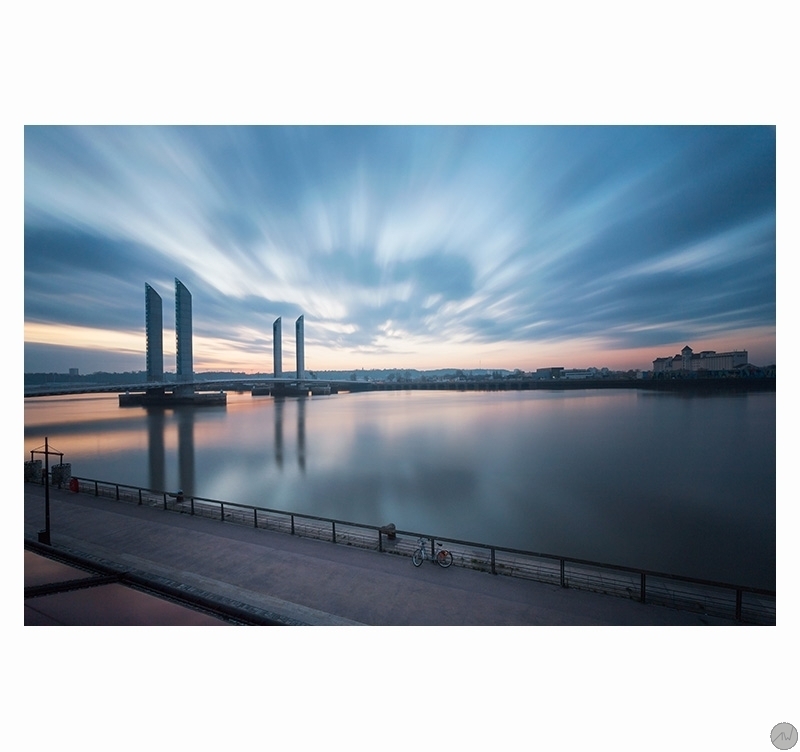 All of the Garonne’s beauty and its reflections caught at sunrise to give you a unique modern art photo ! 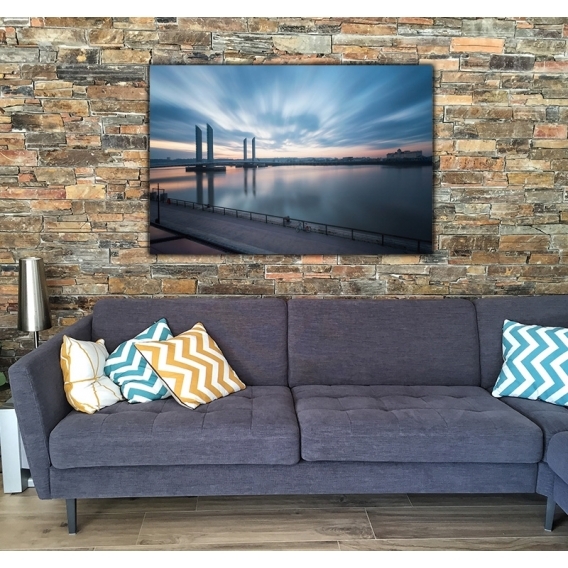 With its clear colours and depth this photo will be perfect to brighten up on of your rooms. These wall decorations are printed on two aluminium white-coated plates. A polythene coat is placed between the two plates. The support brings a long lasting quality to a top-of-the-range picture. Delivered with hanging system.